I often tell people that I have a Ph.D. in watering plants. As a young professional, I spent my days deciding if I should water and then checking to see if I made the right decision. Sometimes, I spent my days racing to water before plants wilted. I would like to say it is an art, but any gardener who learns the following water guidelines can get a Ph.D. in watering. Even though we have gotten some much-needed rain for the flowers and the trees, consistent watering throughout the season is very important. "Drought stress" occurs with limited water and very high temperatures. Plants are unable to make food and cool themselves. Drought stress symptoms are reproductive failure, slow and reduced growth, change in leaf color, browning of leaves, leaf drop and susceptibility to insects and diseases. Seeds must be watered every day for germination. Without imbibing water, the seed coat will not break and the radicle will not emerge. When planting annuals, cut back half of the plant to reduce stress. Many gardeners are surprised when I pinch plants and remove flowers before planting. My goal is for the plant energy to form root systems. In the beginning, I only give them a shot of water, as their root systems are still small. Once they start growing, I increase my water volume to drench the entire bed. Vegetable gardens need attention daily. They grow fast and we are dependent on the flower and fruits. I sometimes check the soil after I have watered to see if the water percolated to the roots. I refrain from getting water on the leaves (to prevent spread of disease) and water in the morning (less evaporation). It is best to water heavier less often than to water shallowly every day. If you have watered a plant for less than 30 seconds, you are probably guilty of this. Deep-watering encourages root growth. Plants need a thorough soaking if you want lush and vibrant growth. Young trees and perennials usually need additional water in the first three years. Water gardens one inch a week, and increase to two inches per week when temperatures are above 90 degrees. What is one inch of water? One inch of water per square foot is about a half gallon of water. On average, a 50-foot hose releases 25 to 30 gallons per minute at full stream. A 100-foot hose releases 12 to 15 gallons per minute. 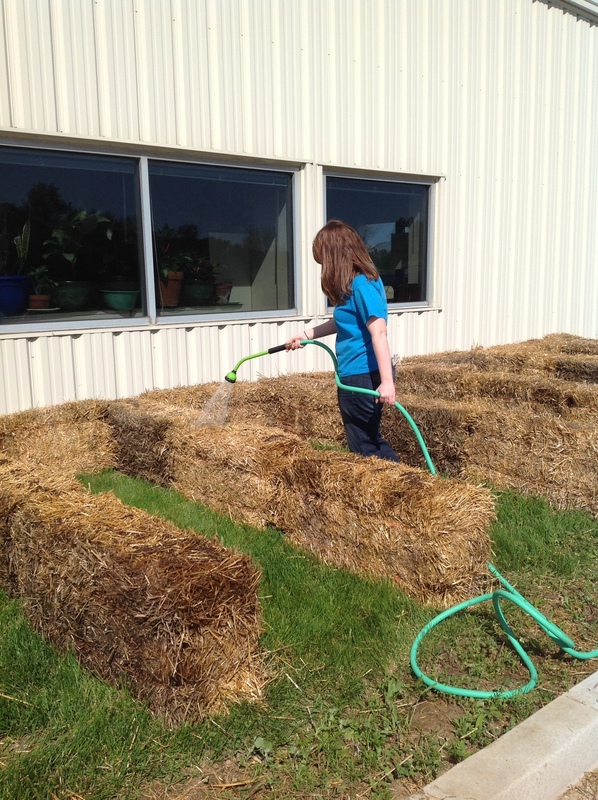 To water a 200-square-foot garden one inch with a 100-foot hose, you will need 100 gallons. Water that area for 6-8 minutes.